[EAN: 9780374343101], Gebraucht, guter Zustand, [PU: Farrar, Straus and Giroux], Spine creases, wear to binding and pages from reading. May contain limited notes, underlining or highlighting that does affect the text. Possible ex library copy, thatâ€™ll have the markings and stickers associated from the library. Accessories such as CD, codes, toys, may not be included. [EAN: 9780374343101], Gebraucht, guter Zustand, [PU: Farrar, Straus and Giroux, New York], RUSSIA, Jacket, Usual library markings. Many block print illustrations. 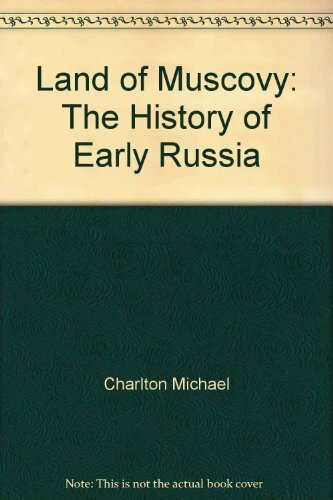 Discusses the history and people of Russia during the fifteenth, sixteenth, and seventeenth centuries.